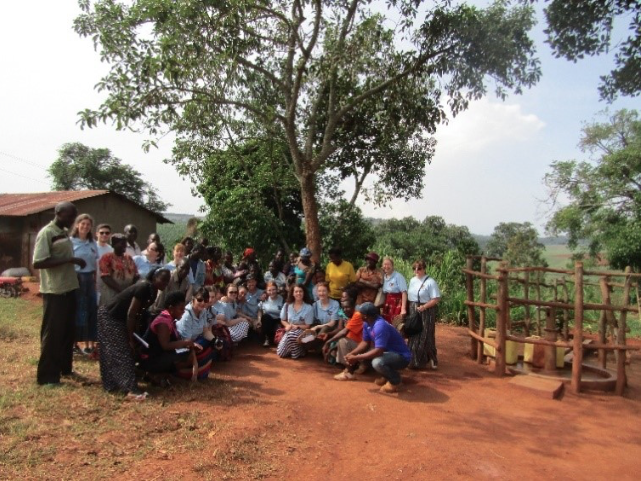 In February 2018, a team of 15 visited Buikwe, Uganda, to immerse themselves in the local culture and see first-hand the impact of the projects implemented by International Needs. The team from Burscough, Lancashire, were led by Joanna Marshall, who was part of the 2016 team. The rest of the team was comprised of a group from St. John the Baptist Church and contained a variety of professions, including teachers; health-care professionals and students. Many had sponsored children they were eager to meet, and all had heard about the projects International Needs were running and were keen to discover the impact these were having on the community. The team visited a number of families and communities across all stages of the Water, Sanitation and Hygiene Project (WASH). The contrasts in quality of life for those that have recently been identified as having the potential to benefit from help, to those that have had extensive work and facilities created is staggering. Many families have no access to a toilet or clean water suitable for drinking. The team visited several new boreholes and wells created by the WASH Project. Every borehole has a committee to ensure the smooth running of the water pump; the committee consists of: a secretary; a financial officer; marketing officer and a technician. The committee takes responsibility for the running of the well, including repairs, cleanliness and locking at night-time. A payment is collected from each household to provide an emergency fund for repairs. The amount is decided as a community with help from the WASH Project organisers and is around 1,000-2,000 Ugandan Shillings (around 20p). The team had the pleasure of meeting several communities that told them about the positive impact of the wells. Clean water means that there is less illness and having a local source of water allows for less time to be spent on walking for water. This frees up invaluable time, especially for children, that can be spent on their studies. The WASH Project and Child Sponsorship work hand-in-hand. 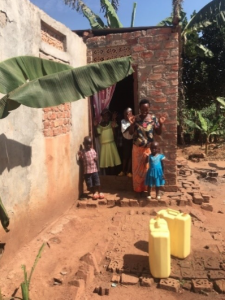 When communities are identified as benefiting from a borehole and well, the families are also surveyed to gain an understanding of who is in the most need of help. Once families have been identified, they are matched to child sponsors as soon as possible. This will allow a child to attend school and hopefully break out of the cycle of poverty by gaining a well-rounded education. Sponsored children have their school fees paid and receive nutritious meals and school supplies, as well as receiving any medical care they may need – this allows families to spend their already stretched budgets on other essentials. The WASH programme operates in the same areas as the child sponsorship programme. Many of the families benefiting from the water interventions, already have sponsors for their children, and many are waiting for sponsors. During the visit, the team were honoured to have the opportunity to not only sponsor children, but also to meet them. The team would like to thank everyone from International Needs UK and Uganda that helped make their visit a memorable experience and the opportunity to create memories that will stay with them for life. Team Member from St Johns, Burscough.